CDK Global advertising network details. CDK Global is focusing on helping dealers to connect and to please their customers with their business package. 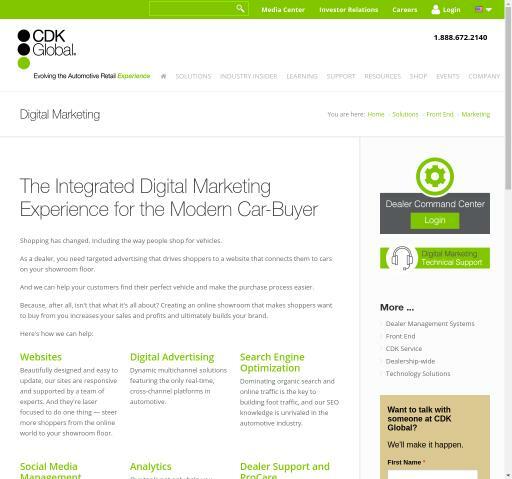 CDK is one of the leaders in automotive digital-marketing industry and it is serving top brands from all around the world. CDK Global offers solutions that deal effectively with challenges from a wide range of industries. The CDK Global team will also help the dealers in reaching their desired success for their brands. This platform cares about a long-term partnership, that is why CDK Global has a large portfolio of partners that are with them for over 20 years. For additional information before registering on the CDK Global platform, see the Information section to find out what Pricing Models they offer, which are their Targeting Options and Advertising Formats. Don’t forget to return on Affbank in order to leave a review about CDK Global.